Fees associated with filing industrial design applications in New Zealand as well as other design fees are available in the fee calculator. New Zealand legislation only allows registration of multiple articles in one application where the design is applied to a “set of articles” (such as items commonly used or sold together). The official language of the proceedings before the New Zealand Patent Office is English. - an explanation of how the applicant derived ownership of the design rights from the author(s). If priority is claimed, a certified copy of the Priority Document together with a verified translation thereof must be provided at the time of filing or within a 3 month period. A Power of Attorney is required to be filed at the filing date but may be filed at a later date. The substantive examination of the New Zealand design applications is conducted automatically within 15 working days of receiving the application. No specific request needs to be filed. Only local novelty is examined. 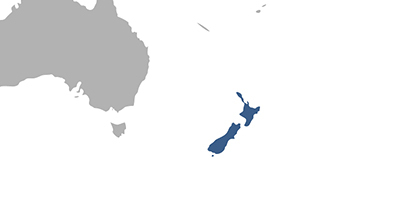 The novelty grace period in New Zealand constitutes 6 months before the filing or priority date. If the application became available to the public due to the disclosure made in bad faith by any third party within the above-said period, it does not disprove the novelty of the design in New Zealand. Also, in case of a new or original textile article intended for registration, a first confidential order is accepted; or where the design was disclosed to the government to consider the merits of the design, this shall not cause lack of novelty. Display at an officially recognised exhibition does not remove novelty, provided that design application is filed within six months from the exhibition opening. No official grant fees are payable in respect of industrial design registration in New Zealand. The initial term of registration is five years from the filing or priority date, which may be extended twice for the periods of 5 years. Renewals must be paid on the 5th and 10th year anniversaries of the filing or priority date. The grace period for paying renewal fees is 6 months of the renewal due date. No surcharge is collected for the payments effected during the grace period. If the prosecution runs smoothly, it usually takes 6 months to have a design registered. For foreign applicants, it is necessary to perform design prosecution in New Zealand using an agent - a registered New Zealand and Australian patent attorney. Online Database for New Zealand Industrial Designs Search.